Every year at the start of the year, I publish a handy list of upcoming temporary art exhibits in Florence and Tuscany. As Italian museums don’t tend to announce their shows with particular advance notice, I’ll update this as more information comes available. 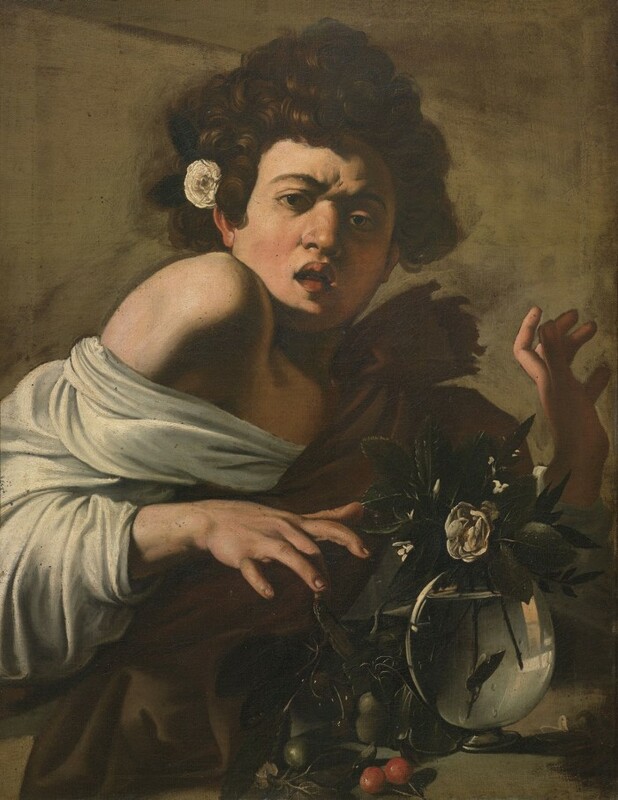 What emerges is a picture of mostly contemporary art, which I’ve always been in favour of in the Renaissance city, but I hope to see some Early Modern shows announced soon – is it just me or has it been a while since we’ve had an exhibit we can really sink our teeth into? This exhibit (that opened in December 2016) inaugurates a new space in the Uffizi, located underneath the museum’s library, which will, in the future, be used for temporary exhibitions. The topic of this show is an interesting one: works of art that have suffered the hand of man, from war to terrorist bombings to theft. The exhibition thus highlights the work of the special police branch, the Comando Tutela Patrimonio Culturale dell’Arma dei Carabinieri, who works to recover this art – as well as the work of restorers who have reassembled damaged pieces. A free exhibit in a space dedicated to temporary shows at the Opera del Duomo Museum; this is the first in a series of collaborations that the institution has set up with Chinese cultural institutions to present each other’s cultures. The title of the show comes from a poem by Zhū Dā (aka Bada Shanren, 1625 – 1705) who organizers say was a contemporary artist in spirit: always innovative but also imitative; the poet has been inspiration for numerous contemporary artists including those on show. 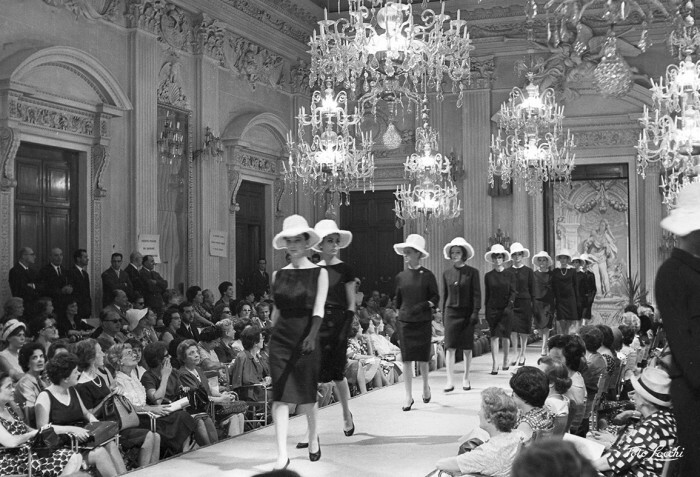 Luglio 1962, Sfilata di cappellini in Sala Bianca, Palazzo Pitti © Archivio Foto Locchi. 100 rare photos from the 1930s to the 1970s that show the role of Florence as fashion capital before Milan rose in this role. This exhibit that was due to end in January has been extended until March. 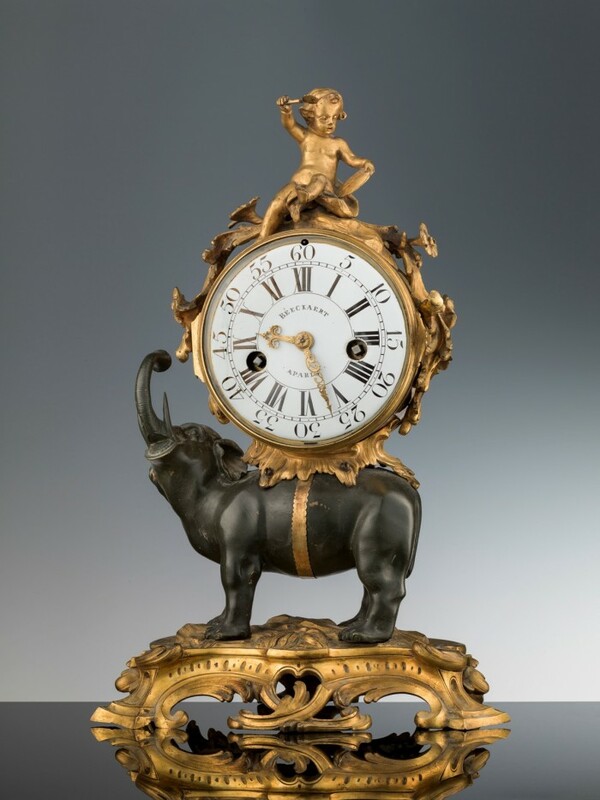 Palazzo Pitti must have been very time-conscious because there were hundreds of clocks associated with the building! 60 of them are exhibited here. The 16th century female artist Suor Plautilla Nelli is finally getting her due with this small monographic show at the Uffizi, set to open on International Womens’ Day. It will be the first of a series dedicated to women artists. This exhibit is part of an annual series by the Accademia museum to present lesser known artists of the Gothic and Renaissance periods. The show introduces Giovanni dal Ponte and shows how he connects to contemporaries in the first three decades of the 15th century. Every Saturday at 5pm there is a free guided tour (in Italian, with reservation to Firenze Musei at +39 055 294883). Recognized as one of the most important video artists in the world, the entire Palazzo Strozzi will be dedicated once again to a contemporary artist. The New York-born artist is known for his works that dialogue between past and present, which is an ideal theme for this location. 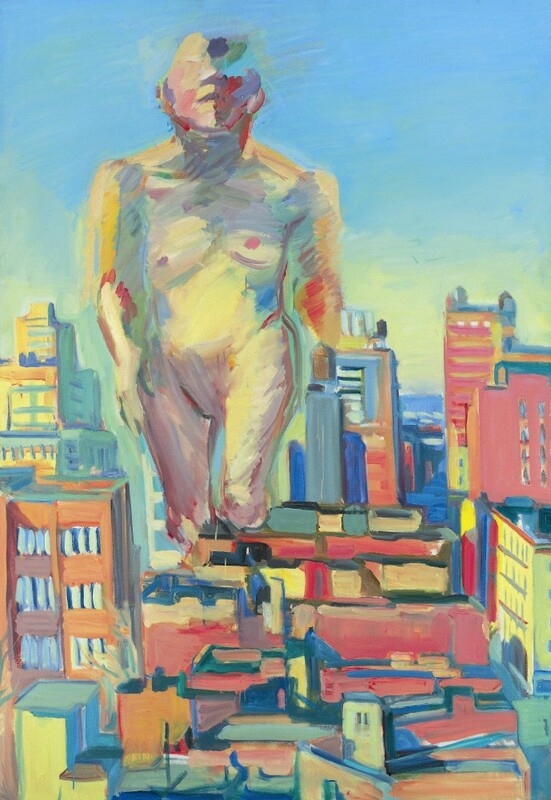 Maria Lassnig (1919 – 2014) sits in the ranks of Louise Bourgeois and Joan Mitchell in the ranks of important women in the arts world, receiving the Leone d’Oro prize at the Venice Biennale in 2013, a year before her death. Most of her works are self-portraits. Remember when we talked about the restoration of Leonardo’s Adoration of the Magi with the restorer in her studio, and saw the first previews of this marvelous cleaning? 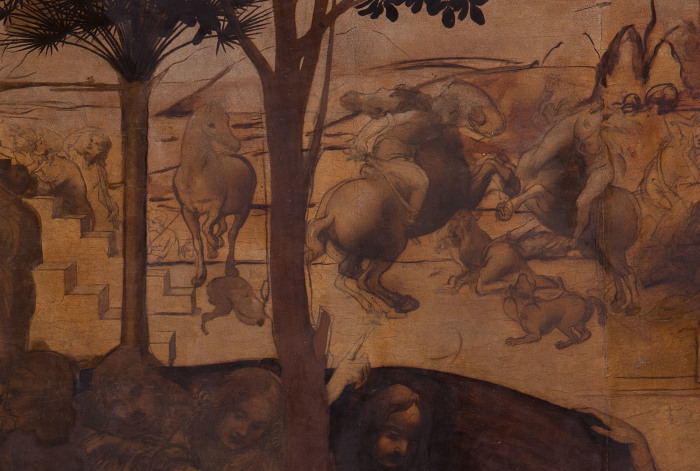 The finished result – 6 years of work – is back at the Uffizi, where it is given its own exhibition space alongside a painting of the same topic by Filippino Lippi. A contemporary collective exhibit of works of art that are … all black!! This is the first monographic exhibit of the architectural drawings of Giuliano da Sangallo (1445 circa-1516), shedding light on the chronology of the last decades of his career. This exhibit brings to light a little-known tradition of creating historiated silver plates around the festivities of San Giovanni that the Medici family received as diplomatic gifts from Rome in the 17th and 18th centuries. 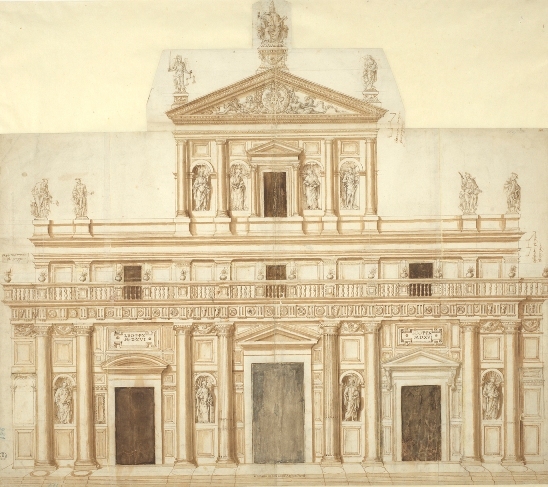 The originals are all lost, but the Doccia factory of porcellain made gesso molds of them, as well as porcellain reproductions, which are shown alongside modern reproductions and preparatory drawings. 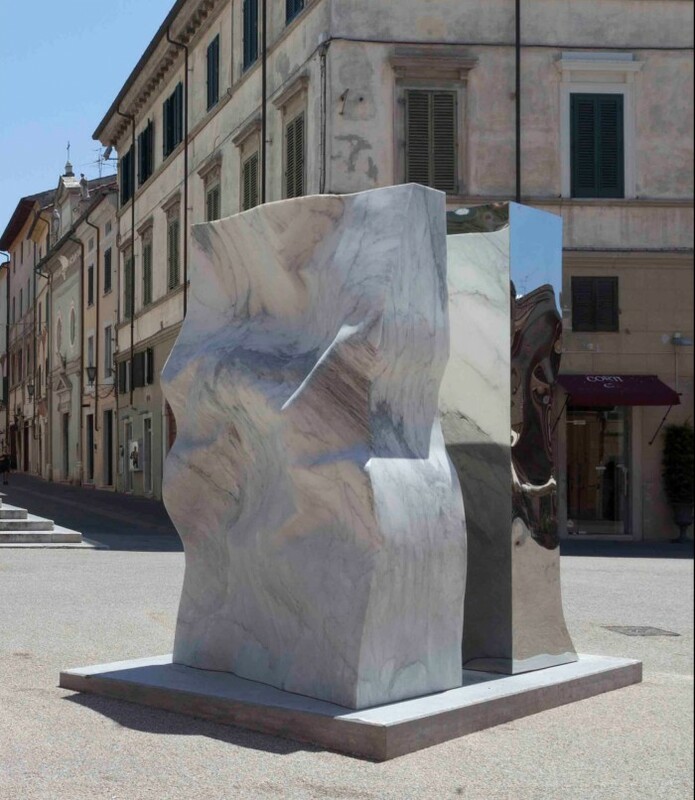 Contemporary Albanian artist Helidon Xhixha brings installations to the Boboli Gardens and its Limonaia based on studies of chaos and order, and inspired by nature. The exhibit Gli Uffizi e il territorio: bozzetti di Luca Giordano e Taddeo Mazzi per due grandi complessi monastici shows two important drawings of recent acquisition by the museum’s drawing and print room, creating a reflection on collection practises of the 17th and 18th centuries, when priority was placed on the speed of the creative process over the final product. After back to back contemporary monographic shows, Strozzi is (thankfully!) returning with a show that focuses on the second half of the sixteenth century, curated by Carlo Falciani and Antonio Natali. It’s the third in the exhibition space’s “trilogy” which has included Bronzino (2010), and then Pontormo and Rosso Fiorentino (2014). Expect drawings, paintings and sculptures by Andrea del Sarto, Bronzino, Pontormo, Giorgio Vasari, Giambologna, Bartolomeo Ammannati, and Santi di Tito. The Early Modern exhibit is once again relegated to the upper levels of the building, for the CCC Strozzina see below. On the occasion of the 150th anniversary of the “friendship” between Italy and japan, the exhibition Il rinascimento giapponese: la natura nei dipinti su paravento dal XV al XVII secolo looks at Japanese screens from the 15th to 17th centuries. The survey of these works shows the emergence of stylistic and aesthetic tendancies that still characterize Japanese art today – evocative monochrome works close to the Chinese zen tradition, vs the decorative works with flat backgrounds prefered by aristocrats. 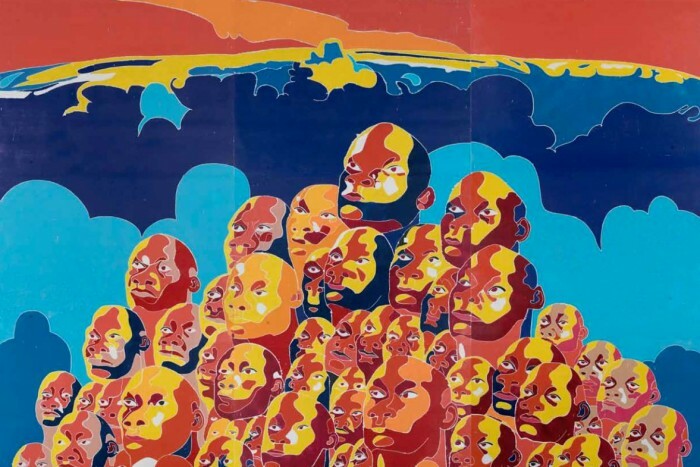 Curators Pino Brugellis, Gianni Pettena and Alberto Salvadori shed light on the radical art movement in Florence in the 1960s and 70s. We look forward to a groovy multimedia presentation of the works by groups and single artists 999, Archizoom, Remo Buti, Gianni Pettena, Superstudio, Ufo, and Zzigurat. 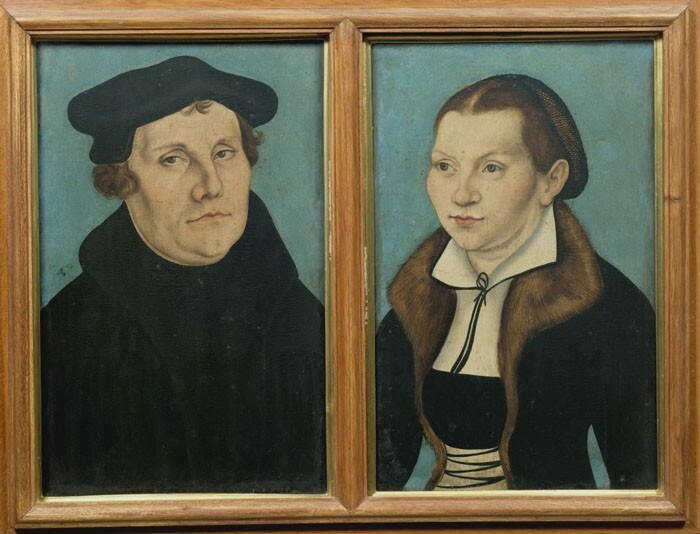 On the occasion of the 500th anniversary of Lutheran reform, the Uffizi is giving extra space to their portrait of Luther and his wife Caterina von Bora by Lucas Cranach. 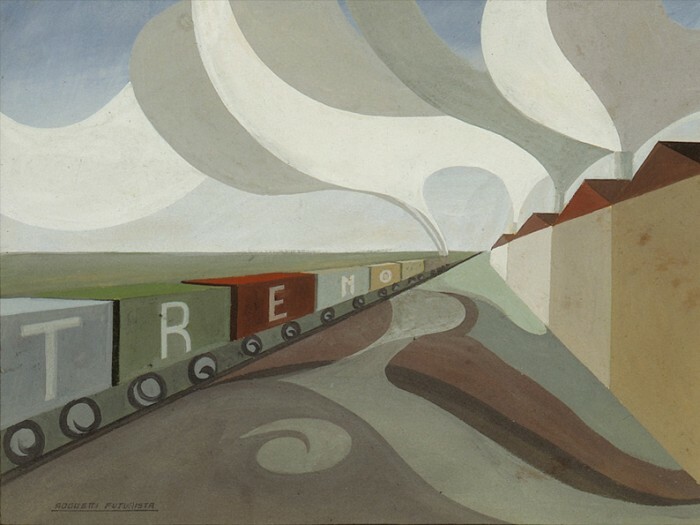 An exhibit dedicated to the narrative revolution in cinematography of Sergej Ejzenštejn, who influenced the expressive forms of the 20th century in ways that few other inventions have. The exhibit is organized in collaboration with the Puškin museum of Russia and the Cineteca of Bologna through film and drawings that reveal a particular interest in the Italian Renaissance. Artworks that survived last year’s major earthquakes in the Spoleto and Norcia areas are being exhibited here alongside impressive photographs that show the extent of the damage to Italy’s cultural heritage. 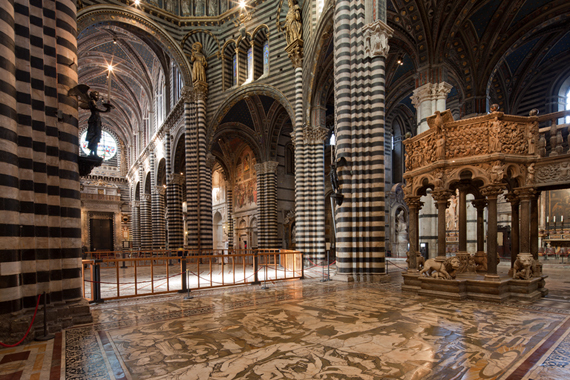 Usually covered by protective carpeting, the intricate intarsia marble floors of the Duomo of Siena are uncovered for a 2 month period. Find out more about the floors here. 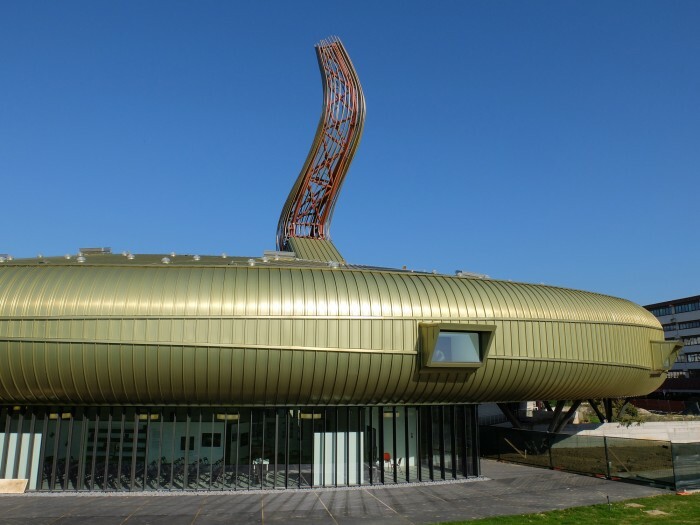 I loved the exhibit “The End of the World” at the new exhibition space of Centro Pecci, which recently reopened and intends to be Tuscany’s contemporary art museum. An unusual comparison, that of Caravaggio and Piero della Francesca. Yet both were studied by the great art historian Roberto Longhi, and here in the “land” of Piero, Maria Cristina Bandera, Director of the Longhi Foundation seems to be setting up some interesting comparisons through the eyes of Longhi. This promises to be a good one, if only for the display of works rarely seen. It’s the 500th anniversary of the death of the great mathematician Luca Pacioli, who influenced many of his artist contemporaries. The exhibit promises the loan of some important drawings, such as a folio by Leonardo from Milan’s Castello Sforzesco. The city’s newly restored Palazzo Pretorio is remembering the legend of speed through a century’s worth of art in Tutti in moto! Il mito della velocità in cento anni di arte while the Museo Piaggio’s exhibition Futurismo, velocità e fotografia presents photographs on futurism and speed. Read all the details in this article on The Florentine. I have received the list of 2017 one- person shows from Galleria Continua’s San Gimignano location, which I include here as the only art gallery amongst this list of museums because they put on big-name shows that can be just as interesting if not more so than certain museums. In Spring, of particularly touching note, Leila Alaoui has just died recently (Jan 18): the 33 year old photojournalist was shot in a terrorist attack in Burkina Faso while working on a visual campaign about womens rights for Amnesty International.